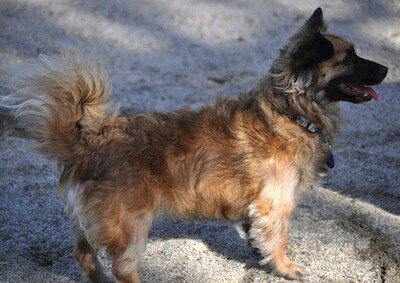 The Peke-Italian is not a purebred dog. It is a cross between the Pekingese and the Italian Greyhound. The best way to determine the temperament of a mixed breed is to look up all breeds in the cross and know you can get any combination of any of the characteristics found in either breed. Not all of these designer hybrid dogs being bred are 50% purebred to 50% purebred. It is very common for breeders to breed multi-generation crosses. "I adopted a shelter dog over a year ago and my daughter has since "adopted" him from me. We all just adore him. He is sweet, affectionate and great with kids. His name is Bodhi and everywhere we go with him, people ask what his breed is." "My daughter decided to send a sample of his hair to have the DNA analyzed. 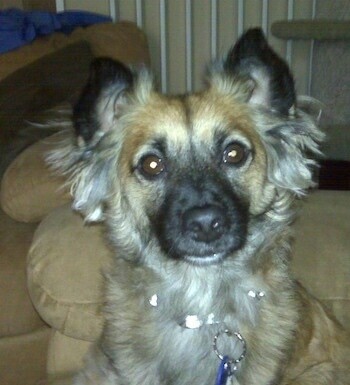 Basically, the results said he is "mostly Pekingese" and some Italian Greyhound. If you look at his pictures, this seems accurate. Everyone comments on how cute he is, but I think he looks quite handsome, even regal in a few of these pictures. "Bodhi is so much fun! He loves to fetch tennis balls and just about anything else you throw for him. He is smart, intuitive and was easily trained. He is playful and yet knows how to calm down when necessary...provided that he gets his exercise! "We have learned that he really needs this, otherwise he gets into trouble around the house (chasing the cats upstairs, whining, sulking and even chewing things). 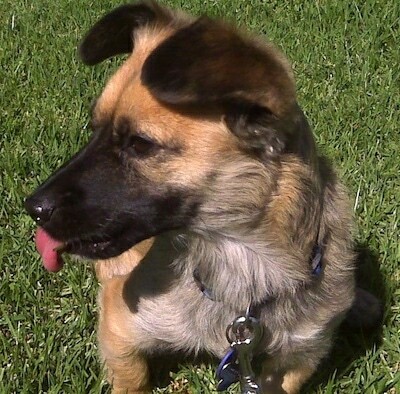 He is extremely fast and will chase anything small, including birds, lizards and squirrels. He loves to cuddle on the couch and under the covers. Recently he started to howl when my three-year-old granddaughter was crying. Then he went over to her and started "kissing" (licking) her face. "He is an excellent watchdog, but sometimes this makes him quite "yappy," as he barks at every little sound. Also, within the last six months he seems to have developed a fear of large-breed puppies as a result of some (rough but playful) encounters in the dog park. This is beginning to be a problem because his "little dog syndrome" compels him to display aggression toward bigger dogs. We are concerned about this and working on desensitizing him."